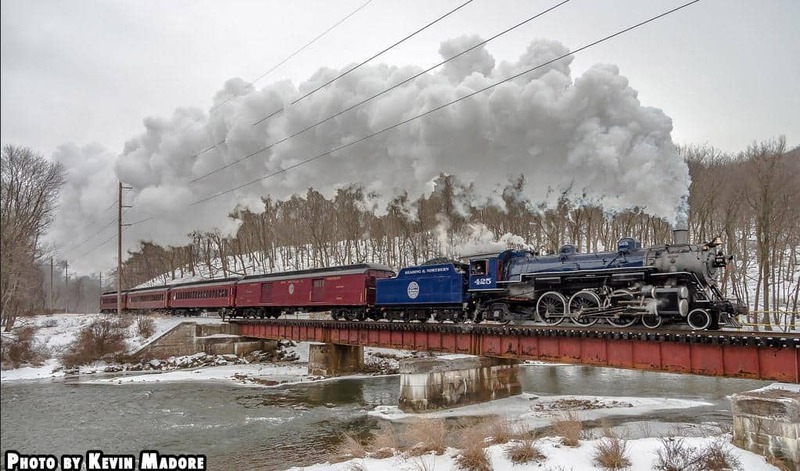 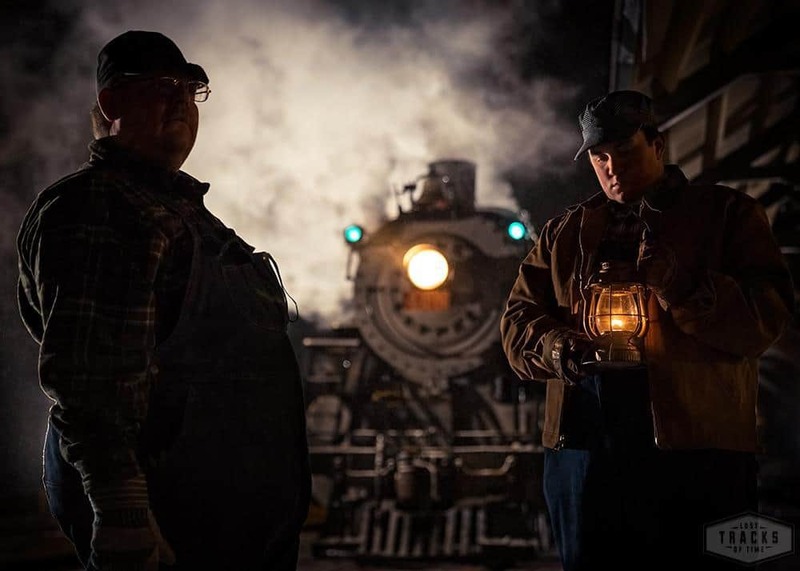 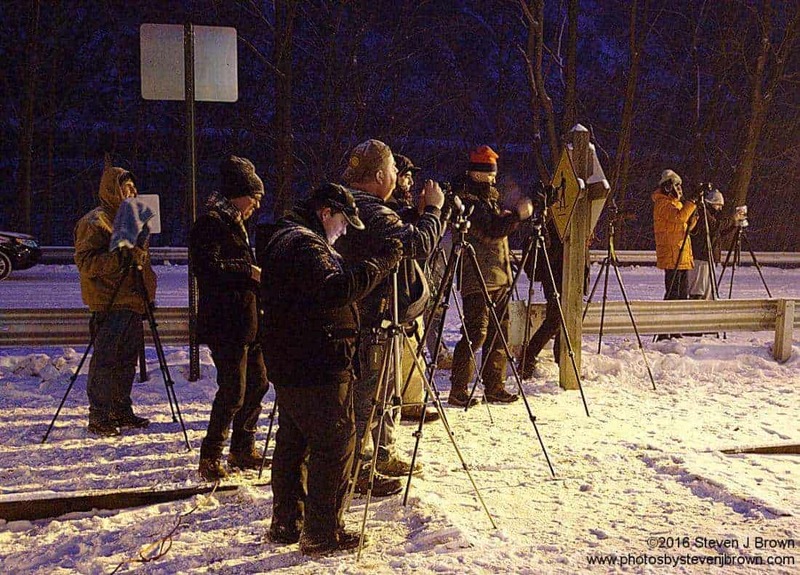 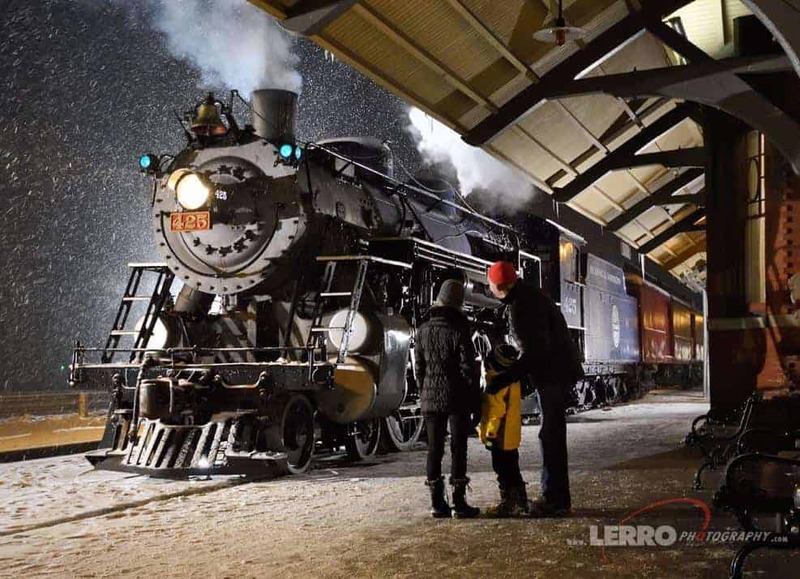 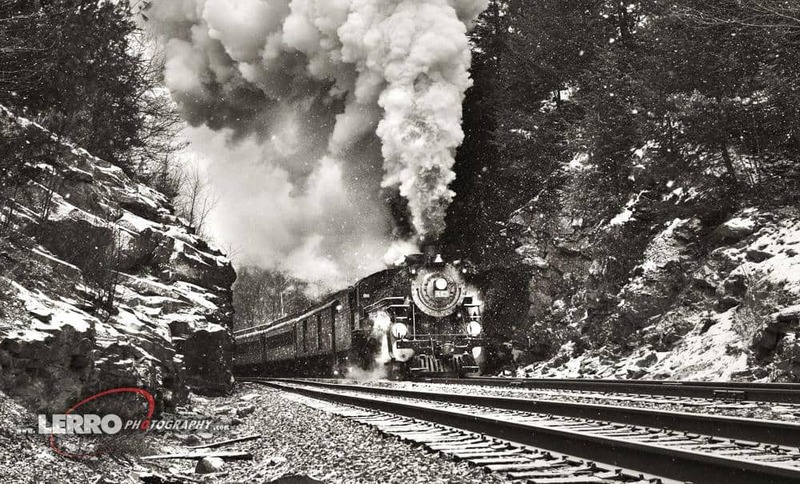 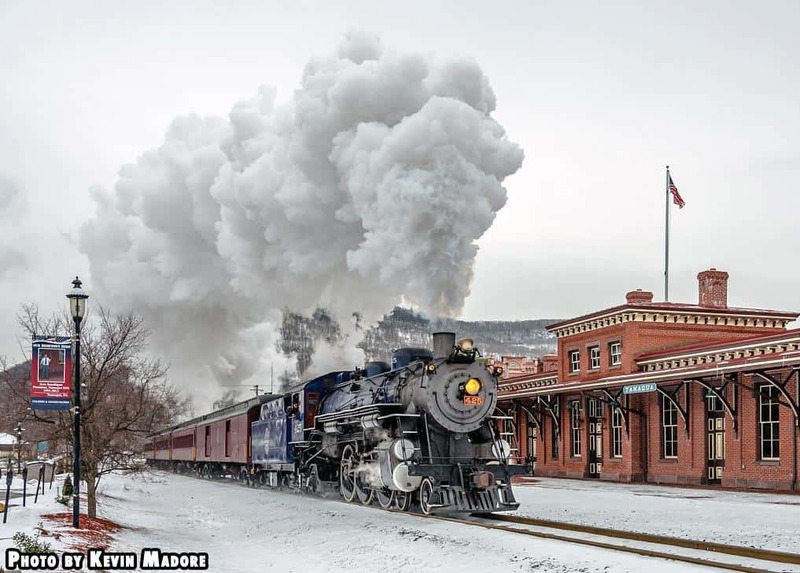 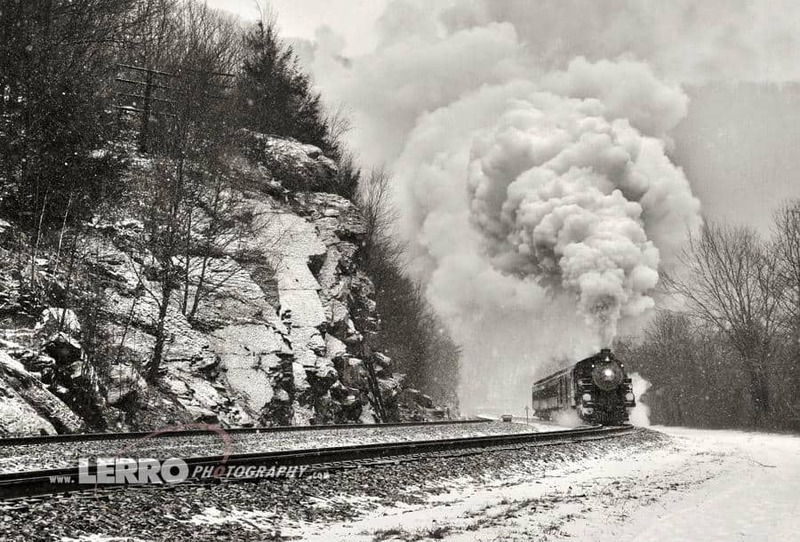 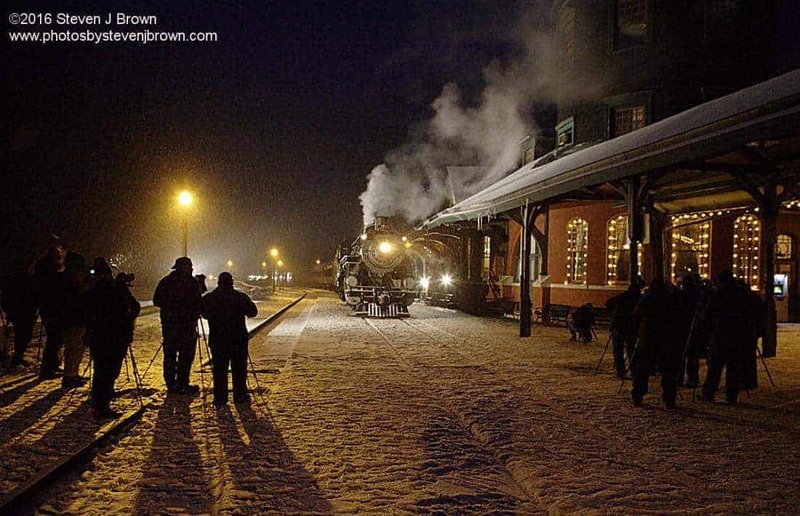 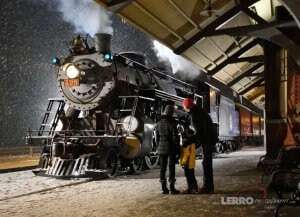 On February 15-16, 2016, Lerro Productions sponsored a photo charter at the Reading & Northern Railroad. 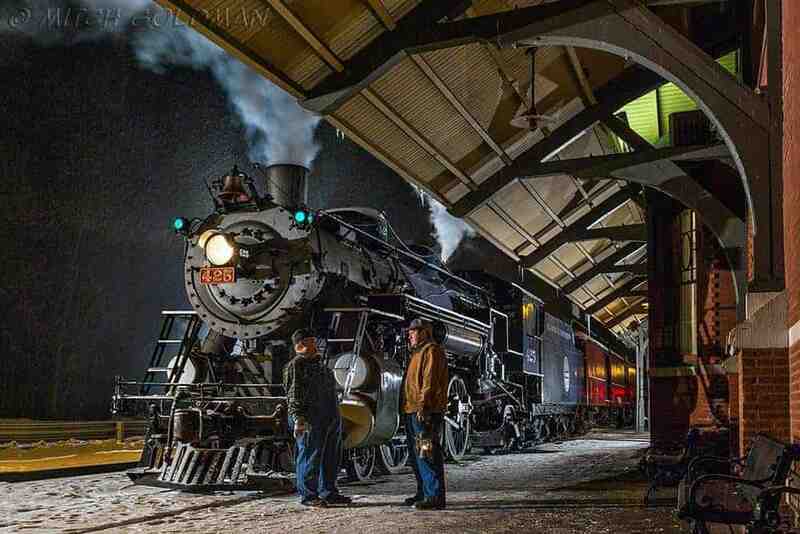 The R&N #425 is a 1928 Baldwin built 4-6-2 light “Pacific” originally built for the Gulf, Mobile & Northern. 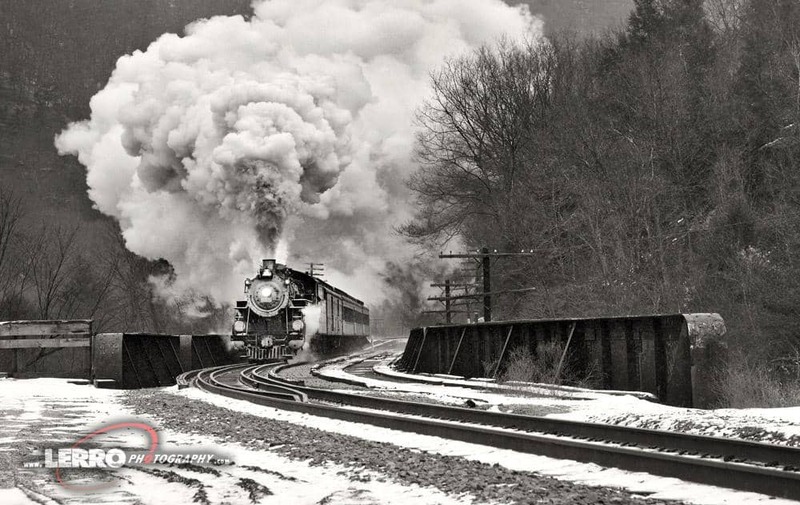 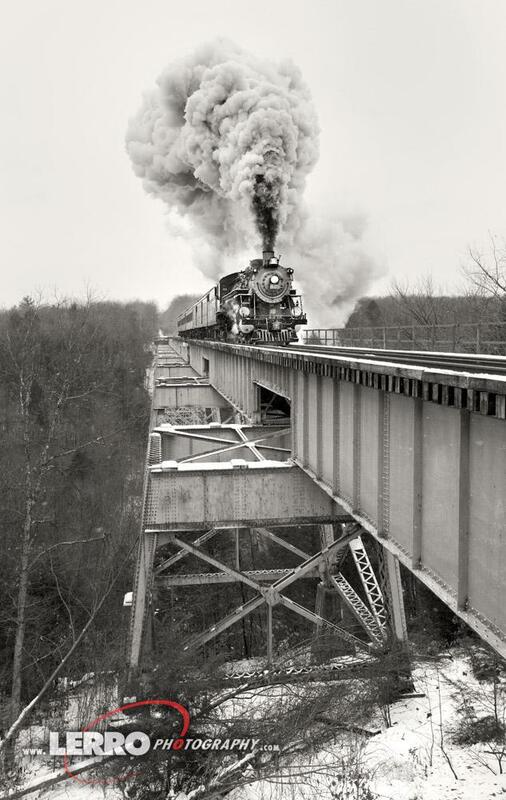 The engine later became Gulf, Mobile & Ohio 580 and would eventually be retired in 1950. 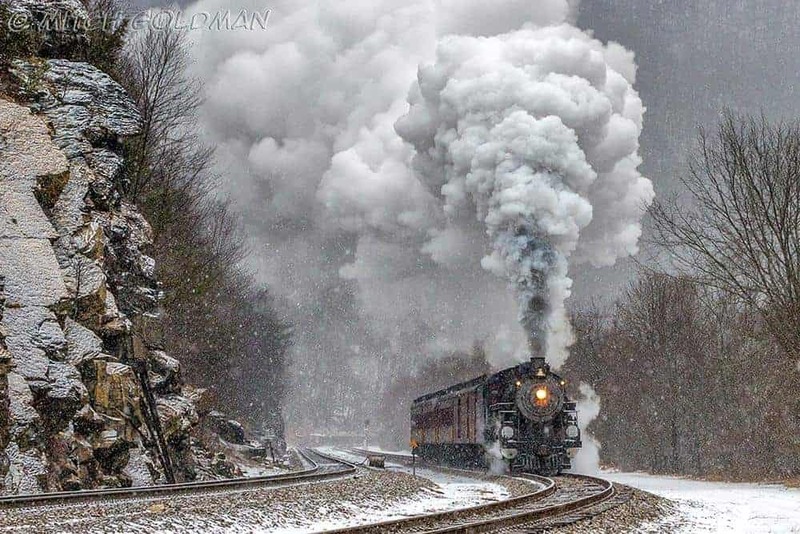 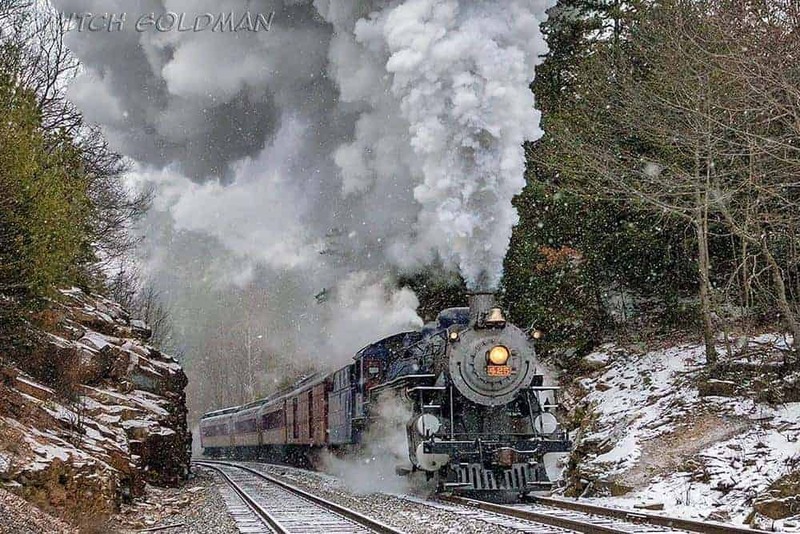 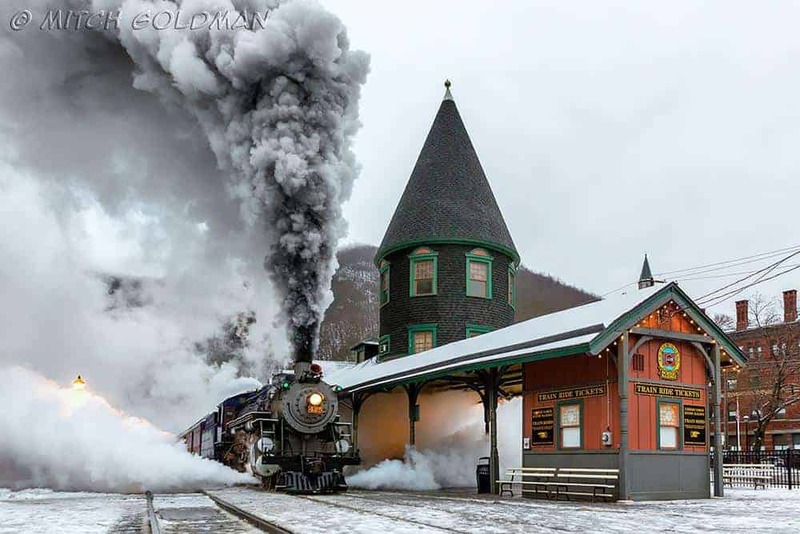 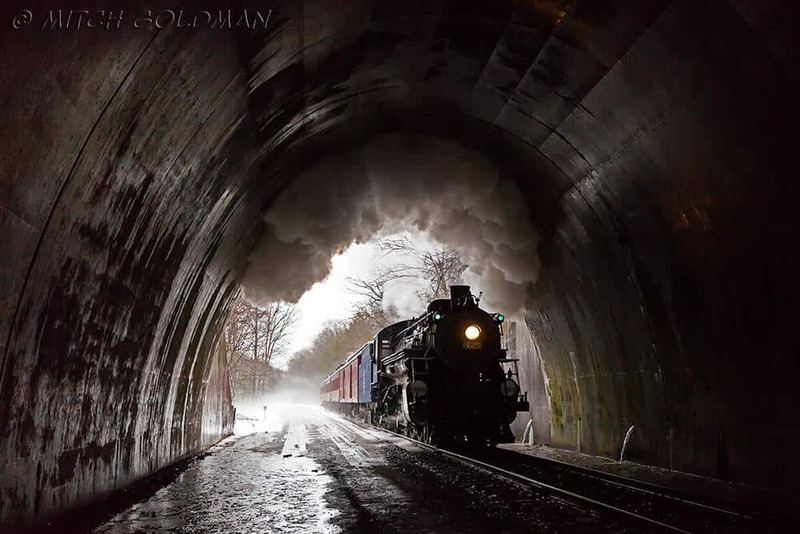 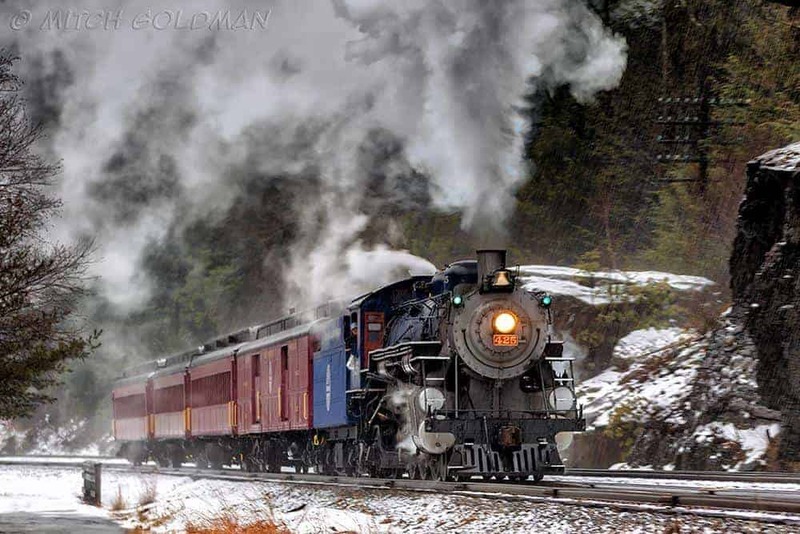 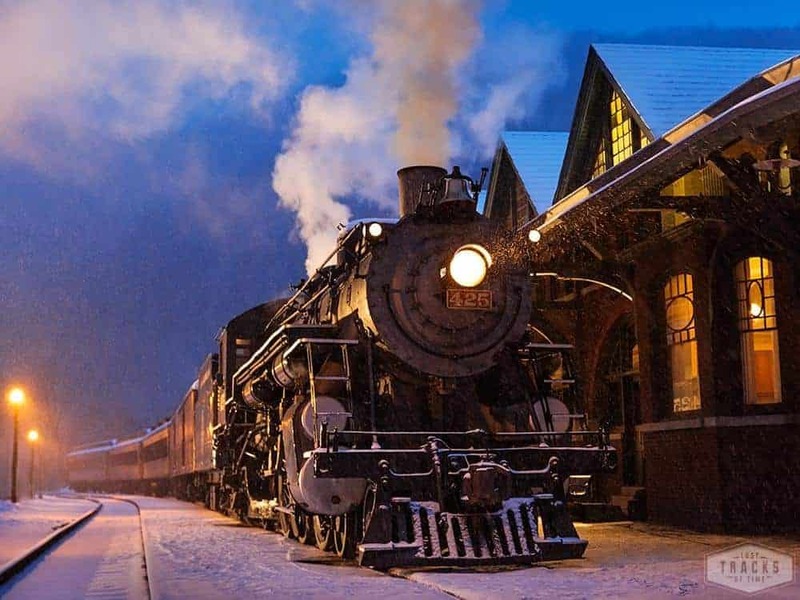 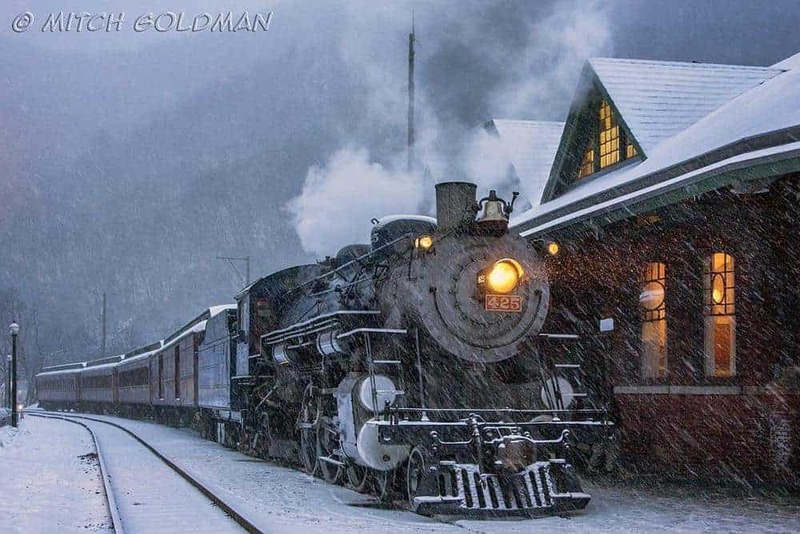 Over the next three decades, several different people would own the engine; in 1983, it was bought by the Blue Mountain & Reading and has routinely pulled excursions throughout eastern Pennsylvania ever since. 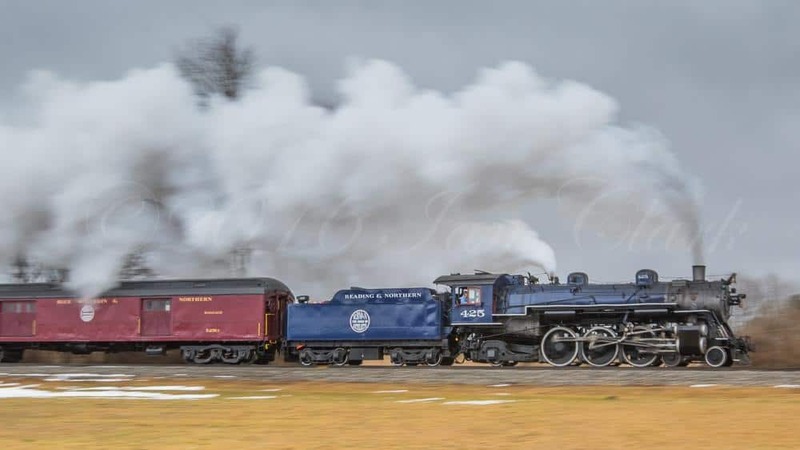 Over the last 20 years, R&N #425 has had several different paint schemes, ranging from all black to dark blue to most recently, a lighter blue. 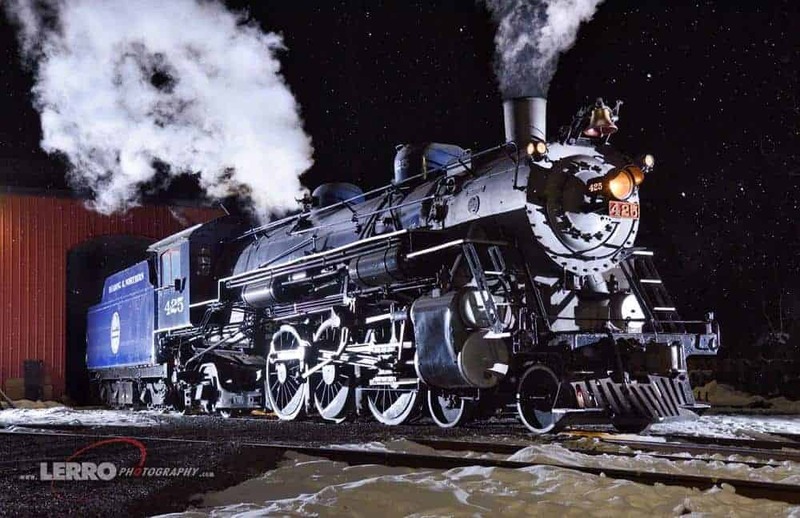 In fall of 2015, the R&N #425 was painted in a brand new paint scheme, which featured a dark midnight blue and black mix. 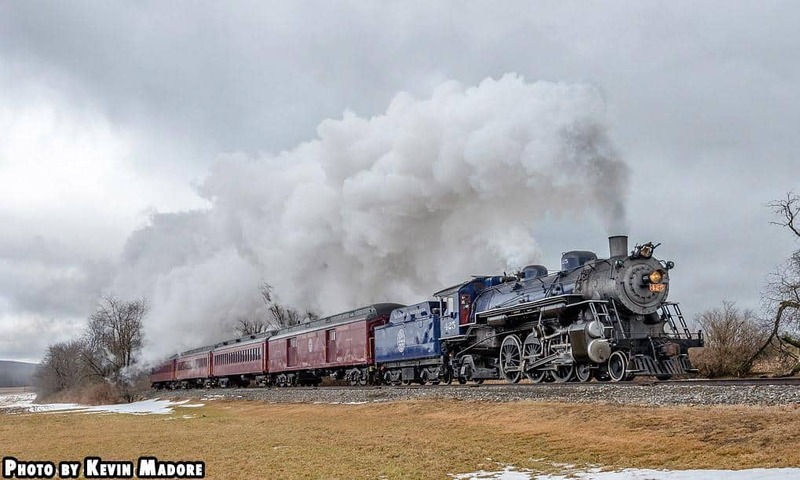 The R&N #425 and its crew are well known for putting on a show and its argued that the R&N #425 is one of the loudest stack talking engines in the USA. 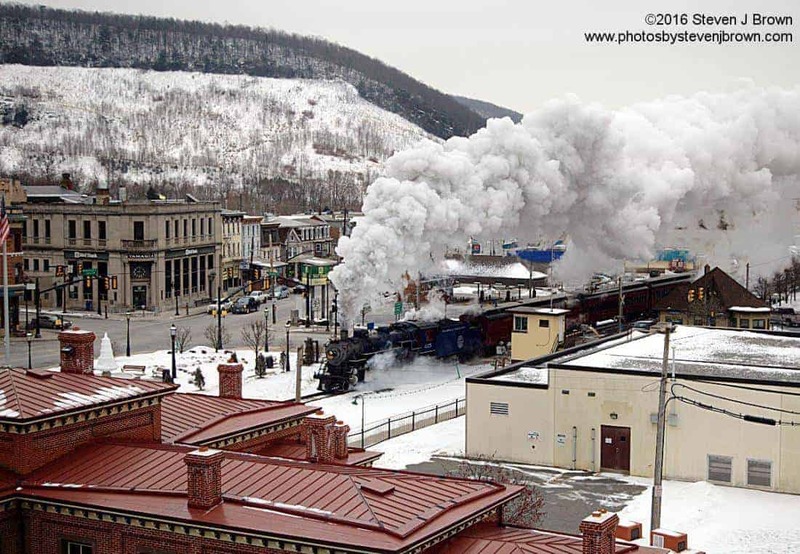 For our charter, we had the R&N #425 pull a baggage car and three matching coaches, which would have been the normal size local commuter train it would have pulled back in its regular service days. 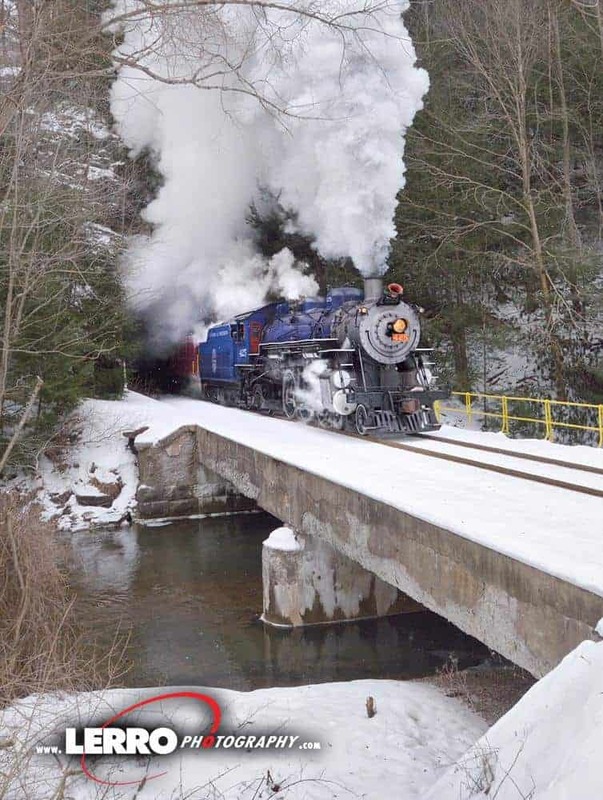 The engine can pull a lot more but we didn’t want the auxiliary tender on the train and due to water limited resources, we opted to keep the tonnage to a minimal in order to use less water. 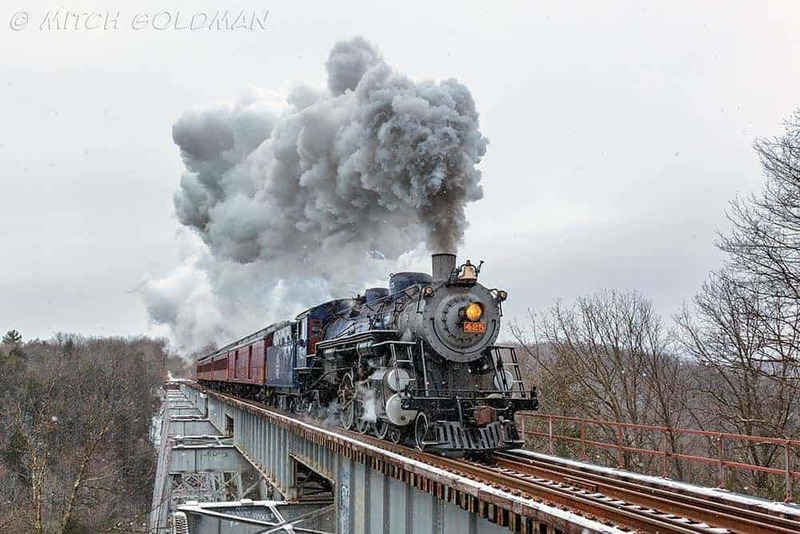 During the two day charter, we traveled over 100 miles round trip and featured runbys from Port Clinton to Jim Thorpe as well as a number of locations in the Lehigh Valley Gorge. 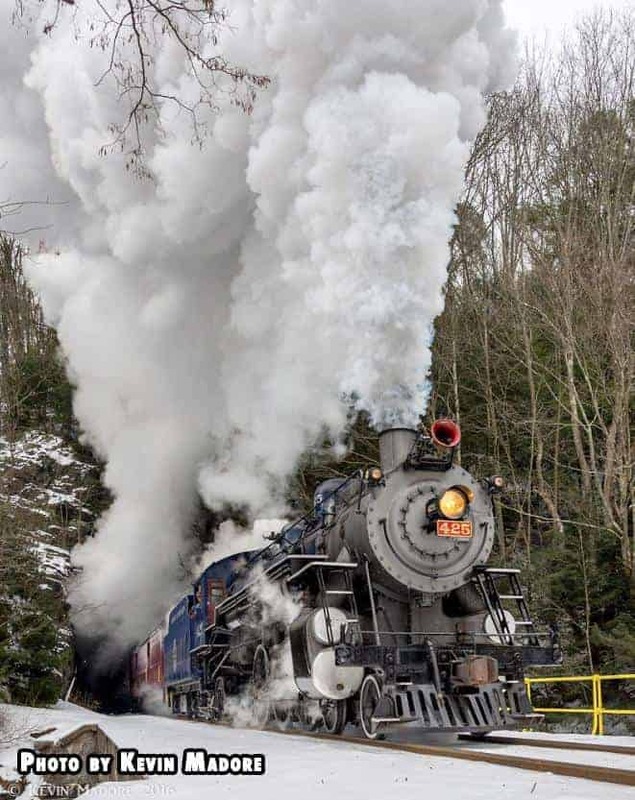 With temperatures as low as 14*F and hours of snow, ice and rain, the patrons from around the world were not deterred the weather from enjoying the R&N #425 put on a great show. 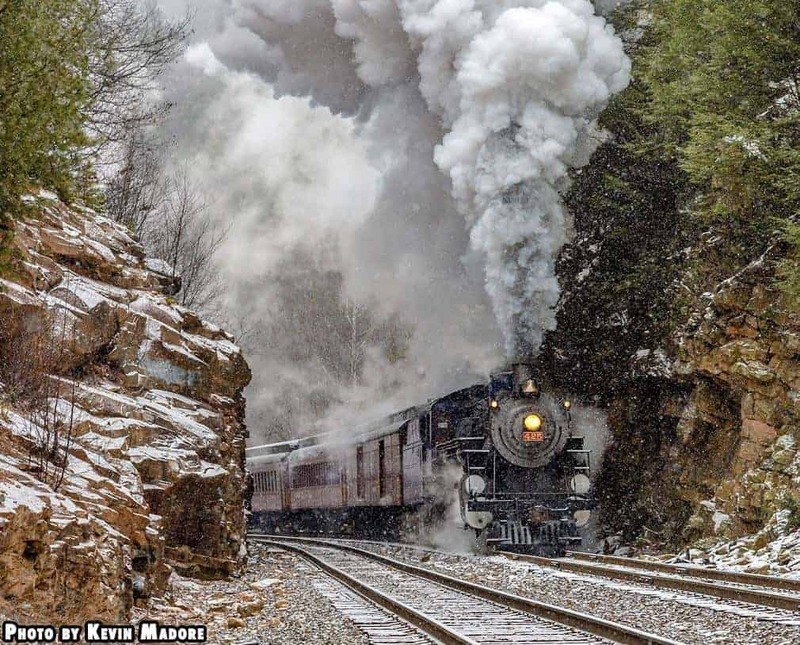 Check out these great videos as well as the photo below.